Research Shows New Flu Viruses Often Arise In Domestic Animals : Shots - Health News Scientists have apparently been wrong about where new flu viruses come from, and they've underestimated the viruses' connection to horses. The dogma is that new viruses always incubate in wild migratory birds first, then get into domestic poultry, and then jump into mammals — especially pigs and humans. If novel flu viruses acquire the ability to transmit readily in humans — boom! — you've got a pandemic on your hands. And if a pandemic virus is particularly lethal, like the H5N1 bird flu virus that has made public health people anxious for the past 10 years, it could be a global catastrophe. But evolutionary biologist Michael Worobey and his colleagues say that wild-bird scenario does not describe the true origin of the flu viruses that have troubled the world over the past 140 years. Instead, the flu viruses circulating globally since the early 1870s are all closely related to those that infect an animal we don't associate with influenza these days: the horse. New research finds a close connection between the flu that devastated the horse population in North America in the 1870s and the avian flu of that period. Worobey, of the University of Arizona, has reanalyzed 80,000 flu virus genomes with a new set of assumptions about how these viruses mutate at widely different rates when they infect different species. His team found there was a "global sweep" in the mid-19th century that replaced six of the flu viruses' eight genes — the "internal" genes that code for proteins other than the hemagglutinin and neuraminidase markers found on the viruses' surface. There's intriguing evidence that the ancestor of modern flu viruses first appeared in horses — and not that long ago, in evolutionary terms. 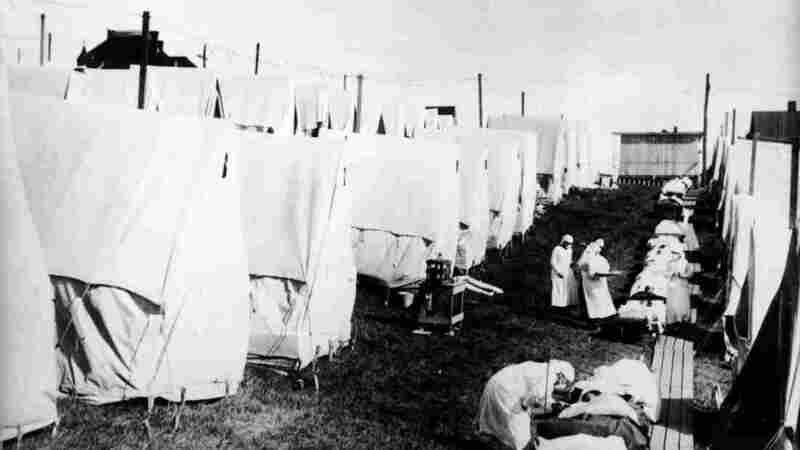 Its introduction is marked by an explosive equine flu epidemic that began near Toronto in late 1872 quickly devastated horse populations all over North America. Horsepower was essential in this pre-internal-combustion-engine era, so there were lots of horses around. 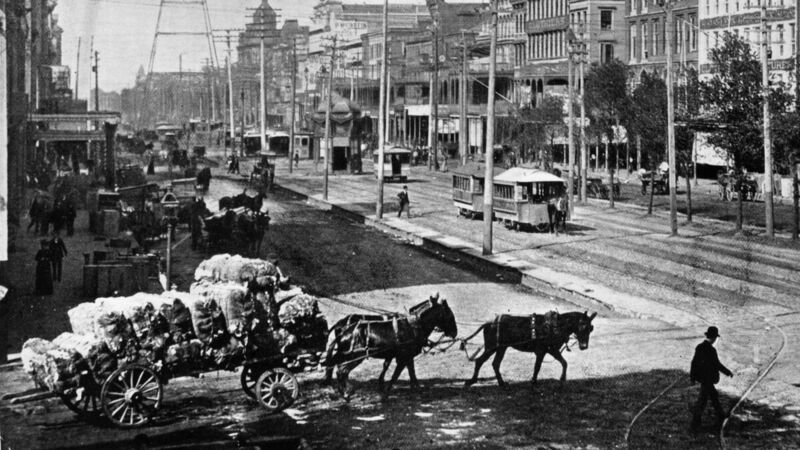 And so many horses died of the flu that mail delivery broke down, the price of coal soared (because it couldn't be delivered), the U.S. cavalry had to fight Apaches on foot, and a fire destroyed half of Boston because teams of young men drafted to pull the pumping trucks couldn't respond fast enough. At the same time, a flu-like disease was killing chickens, ducks, geese and turkeys. This was a half-dozen years before scientists discovered "high-pathogenic" influenza in birds. Worobey says it's now clear the horse flu and bird flu of the 1870s were linked. That's what the genomic analysis shows, and it jibes with historical evidence. "There were lots of newspaper articles about this horse flu jumping into birds," Worobey tells Shots. "They called it 'henfluenza.' So there's this tantalizing suggestion of a relationship between this horse flu lineage and the genetic diversity that has reshaped and revolutionized modern avian influenza populations." The new analysis, published online Sunday in Nature, doesn't determine whether the new flu jumped from horses into poultry or the other way around. Chickens could have picked it up by roosting in barns with sick horses, or vice-versa. But in either case, it's clear that, once established in domestic birds, it spread to wild birds — ultimately to the world over. 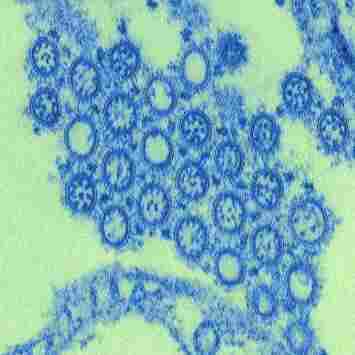 Moreover, that 1870s-vintage virus contributed most of its genes to the H1N1 flu virus that caused the devastating pandemic in 1918-1919, which killed upwards of 20 million people around the globe. The 1918 flu is widely known as the Spanish Flu, but new research establishes that the flu actually originated in the Western Hemisphere. "We show that the 1918 virus got most of its genes from the lineage of bird flu that became established in the Western Hemisphere" after the emergence of the horse flu in 1872, Worobey says. "You can see this virus was in Western Hemisphere birds just a few years before 1918." These insights were possible because Worobey's team used a different molecular "clock" to calculate the timing of viral mutations in different species. Before now, scientists used an average rate of mutation for all species, even though they knew that the rate differed from one species to another. "You can't assume an average rate," he says. "You have to allow the clock to tick at its own rate for each species. It seems like a very subtle thing, but the effect on data is not subtle at all. This takes totally confusing and conflicting histories across the eight [flu] genes and snaps them into focus like the knob on a microscope." Worobey thinks the new method of tracking the evolution of flu viruses will change the way scientists think about these important viruses. "I think this paper does help us learn more about the playbook of flu," he says. Pablo Murcia of the University of Glasgow, who was not involved in the new research, agrees. He says the findings underscore the importance of monitoring poultry and swine (which have replaced horses as primary reservoirs) for the emergence of flu viruses, especially since modern farming operations concentrate these animals in such huge numbers. "We have to be careful about the ecological conditions we create," Murcia tells Shots, "as this could result in pathogens going into wild animals, and then in the end, nature will throw them back to us!"